Black Front Right Passenger Side . · Dodge Caravan 2003 Purple 3.3L – 2D4GP44333R149098. FR RH INTERIOR DOOR HANDLE #1011382 1011382-A8-25B. - The third level quality part. - The second level quality part. It is of average miles and normal condition for its age. - The highest quality part. 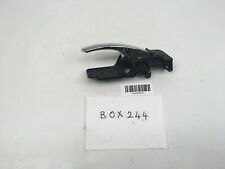 FR LH INTERIOR DOOR HANDLE #11802 1011802-C6-11F. - The third level quality part. - The second level quality part. It is of average miles and normal condition for its age. - The highest quality part. RR RH INTERIOR SLIDING DOOR HANDLE #11806 1011806-C6-11F. - The third level quality part. - The second level quality part. It is of average miles and normal condition for its age. - The highest quality part. RR LH NTERIOR SLIDING DOOR HANDLE #11805 1011805-C6-11F. - The third level quality part. - The second level quality part. It is of average miles and normal condition for its age. - The highest quality part. RR LH DOOR INTERIOR HANDLE TRIM #11830 1011830-C6-10F. - The third level quality part. - The second level quality part. It is of average miles and normal condition for its age. - The highest quality part. FR LH INTERIOR DOOR PULL HANDLE #11800 1011800-C6-10F. - The third level quality part. - The second level quality part. It is of average miles and normal condition for its age. - The highest quality part. Black Front Left Driver Side . 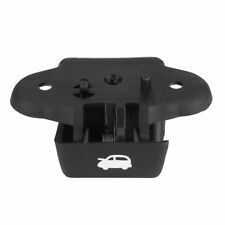 FR RH INTERIOR DOOR PULL HANDLE #1011369 1011369-A8-25B. - The third level quality part. - The second level quality part. It is of average miles and normal condition for its age. - The highest quality part. Includes:1 Driver Side Front, 1 Passenger Side Front. FRONT PASSENGER EXTERIOR DOOR HANDLE. This Door Lock/Latch with Handle Front Passengers was pulled from a used 08 Dodge Grand Caravan SE and is in great physical and working condition. Pictures : Our pictures of each product are of the genuine, singular product.